Three girls sashay toward the camera, hips swinging in high fashion dresses. A male scientist, staring into his microscope, looks up and puts on his geeky glasses in shock. Blowing kisses and makeup powder, sending molecules crashing to the floor around their stilettos, these girls are here to laugh, smile, tilt their sunglasses…and take over your laboratory. Science: it’s a girl thing. This was the teaser video ( http://bit.ly/KSab5G ) that the EU Commission put out to advertise their new effort to get more girls to pursue science. The accompanying website: http://science-­girl‐thing.eu has interviews with female scientists in various fields, reasons that science needs you, and options for jobs in science-­‐related fields. Even though it doesn’t have much information on how to get started, the website is an appealing way to get girls interested in science by pushing the idea of making a positive impact on the world. But the teaser video didn’t provide such a good start. While some did enjoy the video and see it as lighthearted, the video drew widespread criticism from both women and men in the scientific community. Much of the criticism was based on the stereotypes of women presented in the video ( http://bit.ly/Re8XmC ), and argued that replacing geeky with girly wasn’t enough to get the job done. Still more criticism was based on the lack of science in the video itself ( http://bit.ly/ML01jk ). Having fun, laughing and playing with your necklace in a lab is nice, but it’s not exactly scientific discovery. And, as many critics also pointed out: science is a people thing ( http://bit.ly/RlTAa9 ). Not a girl thing, not a boy thing. Science doesn’t care how you are dressed or what you look like ( http://bit.ly/QHuhSs ). Replacing scientific stereotypes with girly stereotypes isn’t going to change the reality of science itself. Finally, many critics pointed out that there are a lot of good resources out there to get girls interested in science ( http://bit.ly/Re8XmC ), showing girls their own age who are already into science, as well projects like “I’m a Scientist” (http://imascientist.org.uk) where kids can interacts with scientists and ask them questions, allowing them to see the scientific life firsthand. However, these are the reactions of grownups; what about the intended audience? A test group of young girls reacted well to the video ( http://bit.ly/NlXHib ), saying that “it made science for me”, and “it appealed to me” (though, depressingly, the girls also commented “there was maths in the video and I find maths difficult”). It’s possible that these girls would be more likely to click through the trailer to the website and check out some of the careers. But not all responses were so rosy ( http://bit.ly/Nhtm63 ), and some studies show that the effects of videos like these may be more hurtful than helpful ( http://bit.ly/Mcj3Sy ). A recent study by Diana Betz and Denise Sekaquaptewa gave 11-­‐13 year old girls a series of short blurbs about women in science or in unrelated fields. Half of the women were also described as being obviously feminine, while the other half were described neutrally. The authors found that the girls rated the overtly feminine role models as less attractive than the neutrally described models ( http://bit.ly/I85i3c ). Digging deeper into their reasons, the authors found that the girls viewed the overtly feminine scientific role models as having lives that were less achievable than those that were neutrally described. So it’s possible that the teaser might make science seem even less attainable to some girls; you have to be smart and perfect looking, too? While the teaser video ended up garnering a large amount of criticism, it certainly started a conversation. And as it turned out, the conversation was two-­‐way. After hearing some of the backlash, the EU Commission took the teaser video down ( http://bit.ly/MpNOBE ), and began asking female scientists on Twitter and through other channels how they should go about appealing to girls using the hashtag #realwomeinscience, and offering to change the campaign. It’s not too late to contribute! If you liked the teaser, or if you didn’t, the EU Commission wants to hear your thoughts on how to get more girls interested in pursuing scientific careers. You can tweet them using the hashtag listed above, or contact them via twitter or their website ( http://science-girl-­thing.eu ). The more input they get, the more they can effectively reach girls and get them thinking about scientific careers. On July 24th, the BPC hosted our 2nd Annual Vendor Fair and Technology Seminar. With 20 local and national vendors it was an opportunity for our postdocs to see the latest innovations in biological research products. The vendor fair fund-raising initiative by BPC was profiled this year in The Daily Pennsylvanian as well as the ScienceCareers Blog, and the event generated almost $8,000 for the BPC to fund events throughout the year. Vendors came away saying it was their best event of the year, as they were able to target the postdocs who use and choose so many of their products. Many even expressed interest joining us for another show this winter! If you want to be involved in helping the BPC host another successful event please contact fundraising committee chair Lucas Smith [ smithlu-at-dental.upenn.edu ]. We look forward to making more vendor shows accessible to postdocs as well as helping to fund our other events. Why set up the program? Post-­‐docs are for the most part unfamiliar with which companies are in their area, what kinds of jobs local companies offer to Ph.D.’s, and what career trajectories might develop from such jobs. The problem is exacerbated by the fact that companies are difficult to visit on one’s own, and many scientists’ professional networks are too small and their career goals too undefined to know where to start. This is an issue for industry as well; they are looking for great post-­‐docs either for hiring, collaboration, or even networking. The first place to start is by gathering information. You might want to survey the post-­‐doc population: Who is interested? What companies are they interested in? What are their career goals? You’ll also want to examine which companies are in the area and what sorts of jobs they offer. Once the basic information is collected, the next step is setting up the infrastructure. In general this involves collecting a short resumé and biosketch from interested post-­‐docs (Google Docs and Google Forms are easy-­‐to-­‐use programs for collecting this information as well as the survey data). The prospective companies might also appreciate a standard, brief description of the program and its goals. With these in hand, you’ll need to think about how you are going to select people, who will have priority, how many times can one post-­‐doc participate, how will you announce events, and how will people RSVP (and what to do if somebody doesn’t show up). At this point, you’re probably going to need help contacting people and getting everyone on the same page. Career services and the BPP could be especially helpful in making the connections you will need. They can also provide resumé/etiquette guidance, and they might be able to schedule timely seminars that address related topics (for example, a seminar by an immigration attorney to clarify issues that might affect foreign post-­‐ docs, or tailoring the established networking/resumé/ etiquette/informational interview seminars towards specific site-­‐visits). • Feedback from both post-­‐docs and companies – this will be crucial to figure out what works and what doesn’t. Large companies are generally more prepared and more likely to have people dedicated to this type of outreach. Remember that a happy and enthusiastic HR Manager is invaluable, so make sure you show gratitude to those who helped set up the visit with a gift card, food basket or similar gesture. 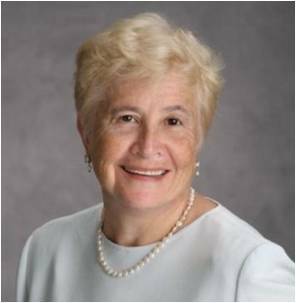 Professor Phoebe Starfield Leboy, a retired professor at the School of Dental Medicine at the University of Pennsylvania, passed away at the age of 75 on June 16, 2012 from complications of amyotrophic lateral sclerosis (Lou Gehrig’s Disease). You may not be aware of her significant accomplishments in both science and in advocacy for women in STEM, since she retired in 2005 before many of us arrived at Penn. I think it is important that our community know that she was truly a pioneer in her scientific fields of nucleic acid modifications and, later, regenerative medicine. But some of her most groundbreaking work was in her activism, promoting equality for women in science at both Penn and at the national level. Three of her Penn colleagues, Dr.’s Sherrill Adams, Susan Margulies and Susan Volk, noted that Professor Leboy was “a rare creature” when she joined the faculty at the Dental School in 1967. At the time, she was only one of a few women among many men on the faculty. When she was promoted to tenure three years later, she was the only tenured woman among the faculty at the Dental School. It might be hard for us to imagine today, but she remained the only tenured woman at the dental school for 21 years! Professor Leboy began keeping track of gender inequities long before it became a priority at Penn and at other academic institutions. She helped organize and chair an advocacy organization called Women for Equal Opportunity at the University of Pennsylvania (WEOUP) in 1970, which was formed since the university was unable to develop a federally-­‐mandated affirmative action plan. She also helped organize a sit-­‐in at Penn in response to a series of rapes on campus. This ultimately led to the founding of the Penn Women’s Center, a Women’s studies program, and victim support services. In 2000-­‐2001, she co-­‐chaired Penn’s Task Force on Gender Inequity. The work of this task force led to the creation of the Senate Committee on Faculty Development, Diversity and Equity and the creation of mentorship programs for all junior faculty across the university. In addition to these and many other accomplishments that drastically improved women’s experiences at Penn, she also personally mentored numerous women graduate students, postdocs and faculty during her time at Penn. On the national level, Professor Leboy was a founding member of the Association for Women in Science (AWIS). AWIS was founded in 1971 after a series of informal meetings at the Federation of American Societies for Experimental Biology (FASEB) meeting that year where the women realized that job discrimination, lower pay, and professional isolation were huge issues. Since it’s founding, AWIS has fought to improve these issues and achieve equity in STEM. Professor Leboy served as AWIS President in 2008 and 2009 and was an active supporter of the AWIS-­‐PHL local chapter. In 2001, she served as a Penn liaison on the “MIT9”. This group, composed of presidents, chancellors, provosts, and several scholars from nine of the top research institutions, met at MIT to initiate novel discussions on the barriers faced by women faculty in science and engineering. For more than forty years, Professor Leboy tirelessly fought to achieve equity for women in STEM, writing numerous articles, conducting countless studies and serving as a principle investigator on an NSF ADVANCE PAID grant to increase the recognition of women in scientific disciplinary societies. There will be a memorial service at Penn to honor Phoebe Leboy that is tentatively scheduled for October 19, 2012 in Bodek Lounge in Houston Hall from 12:30-­2:30 pm (look for more details on our blog). For all of that have successfully obtained our PhDs, there is one thing that we can agree on, IT WAS AN EXERCISE IN SELF-­‐MOTIVATION! We should begin to consistently view our postdoctoral experiences not just in terms of technical training but the development of your overall marketability. Moreover, in a recent career workshop hosted by Career Services, Peter Fiske highlighted the importance of these skills when he said, “Most postdocs think that their most important skills are the technical ones they developed in grad school. Not so. The most important are the broader set of transferrable skills they have developed along the way.” Unfortunately, conversations with postdocs indicate many of these lessons have not been transferred to the postdoctoral experience. Postdocs must/should keep these things in mind from day one of our postdoctoral fellowship. Consequently, our marketability will be enhanced not just in bench training but beyond. Together, this tells me our graduate work taught us: 1.) persistence, 2.) successful networking, and 3.) appropriate use of resources. As a group of self-­‐motivated professionals, the Biomedical Postdoctoral Council strongly encourages postdocs to lean on the lessons learned from our pre-­‐ doctoral training. For example, Ph.D. thesis committee members usually provide the letters of recommendation for our postdoc applications. They witnessed us go down in the flames of ill-­‐conceived experiments and rise from the ashes like the mythical phoenix. Consequently, committee members are great at evaluating our strengths and weaknesses. Why? We had to convince them to be comfortable enough to put their professional reputation on the line to give us a PhD. In order to do that, we needed to be persistent, integrate them into our professional network and utilize their expertise/experience. Retaining the “complete” experiences of your Ph.D. training is just as important as maintaining the “hands” to perform the specific techniques acquired during the process. As we move through our postdoctoral training, it is imperative to keep the totality of our experiences/training out front. Consequently, postdocs will be able to harness the wealth of opportunities and effectively navigate the increasing competitive job markets of academia, industry or government.